Jonai Farmstead Salami - Crowdfunding is community-supported agriculture! Last year 166 wonderful people believed in us enough to support our Pozible campaign to build our own butcher's shop right here on the farm. We raised $27,570 in 40 days, and six months later we were open for business! We've delivered over 400kg of ethical pork rewards, and welcomed nearly 30 of our supporters to last year's Salami Day, and many became our first CSA members. We love this engaged community of ethical omnivores, and are grateful for the support. Now it's time to take our uncommonly delicious ethical pork to the next level and start curing at a commercial scale! To do that, we're aiming to raise $30,000 in 30 days on Pozible, adding cured goods to our range of tasty rewards. We're also offering the opportunity to join our CSA (community-support agriculture) via the campaign to raise the funds up front, then deliver to you over the course of a year. After our success last year, plenty of other farmers have used crowdfunding to build major infrastructure as they develop their businesses, and I reckon it's a fantastic emergent trend in community-supported agriculture. Rather than farmers going into debt and lining shareholders' pockets, we're feeding our communities - literally! For other examples, check out the huge success of Madelaine's Eggs last week - she raised over $60,000! And our mate Lauren Mathers of Bundarra Berkshires is nearing her target of just over $15,000 to build her own curing room up near the Murray. 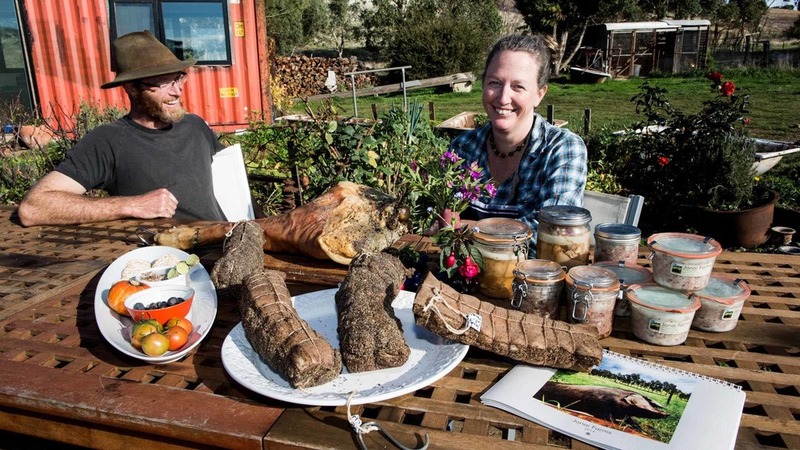 There are plenty of others around, and I think we'll see more and more as farmers and their communities work out how to support each other to re-localise the food system and form deep connections between growers and eaters. So check out our campaign and spread the word! There really is a Fair Food Revolution underway, and it's in your hands!